We value our clients' experience at PARKVIEW CAT CLINIC. "We have been customers of Parkview for a good 25 years now. They are family, and they treat us and our feline companions as such.  I can’t say enough good things about them..."
"Parkview Cat Clinic is absolutely amazing! Over the past few years we’ve been trying to figure out what is going on with our Bella. Last week we took her to the clinic for the first time and finally have answers! Dr. Grant is excellent and takes the time to address all concerns. The staff is awesome and treated Bella so well. They are honest and affordable. Wish we would’ve made the hour and a half drive sooner! (Pictured below is Bella and her sister Lucy happy now that Bella is feeling better)"
"I went to Parkview this summer with a kitten that my friend found in a barn--he was only 3 weeks old at the time." "If you are in need of an exceptional clinic that specializes in cats, look here. EVERYONE on staff is friendly, professional and caring. From the time the front desk staff greets you to the time you walk out, you and your cat will be treated as guests. Dr. Fenske and Dr. Grant are talented vets specializing in all aspects of cat care and Donna and Kelly take the time to really listen and understand what is being said at every visit. I have been a customer for over twenty years and have found their service to be complete, professional and reasonably priced. If you want the best, bring your cat here, you will not be disappointed." "They have taken extraordinary care with our two cats through some rough health issues. Very big on having the cats in for followup visits while they're healing, which makes me feel like they really are invested in making sure our pets get back to normal health."